All Athletes will need a sports physical to compete in Athletics at HBHS for the 2017-18 school year. We are offering a night at HBHS to complete this physical for the next school year. All proceeds from this event will go directly back into the Athletics program at HBHS through the Athletic Training dept. Multiple Teams · Feb 6 Oil vs. Water Basketball Showdown Tomorrow Night!! Multiple Teams · Jan 31 Updated Signing Day List for Tomorrow at 10am in the Gym! We are up to 34 Student-Athletes for our ceremony tomorrow at 10am! Come out and support Oiler Athletics! Multiple Teams · Jan 24 Signing Day at HBHS- Feb 1st at 10am in the Gymnasium! – Be There! We are extremely excited to be able to honor our amazing student-athletes next Wednesday at 10am in the Gym. We currently have 32 athletes that we will be honoring for their continued commitment to play their sport at the next level! Come out and support these amazing athletes! Oiler Pride is Strong! Multiple Teams · Dec 16 Girls Golf All County Team! Congrats to Vanessa Betancourt who was named to the Girls Golf Second Team All County as listed in the OC Register!! 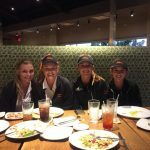 Multiple Teams · Oct 26 Girls Golf CIF Update!! Multiple Teams · Oct 13 Girls Golf Sunset League Champions! 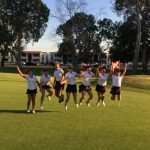 Multiple Teams · Oct 7 Girls Golf Update!!! 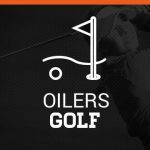 Go Oilers! !